The Nigeria Agricultural Quarantine Service (NAQS) has commended the Federal Government’s plans to shut the country’s land border with a neighbouring country to curb rice smuggling into the country. Dr Vincent Isegbe, the Coordinating Director of NAQS, praised the government’s move in an interview with newsmen in Abuja yesterday. 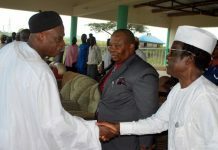 Isegbe said that the quarantine service was very in much support of the statement of the Minister of Agriculture and Rural Development, Chief Audu Ogbeh, regarding plans to shut the land border between Nigeria and a neighouring country to stem rice smuggling. ”Once the directive is given, we will make sure that it is passed to our officials in the affected border to ensure that no foreign rice enters the country. ”Our personnel have to double their work to ensure that nothing comes across, it is added responsibility for them because they have to be extra-vigilant and they will be actively involved,’’ he said. Isegbe said, “One of the major problems we are having is produce smuggling. As we speak, a neighbour of ours is importing more rice than China. “We all know very well that this foreign rice has been stored for 10 to 15 years and there is no guarantee that the rice is free from carrying pest. 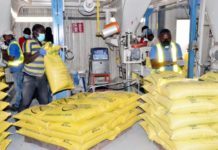 ”Any grain that has been stored for long time has propensity to have pest invasion, which means the exporters must have been treating the rice against pests for long and so, the rice is not good for human consumption.